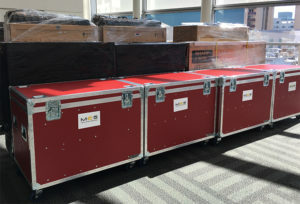 Why Menlo Event Services for your IT Relocation? We have been recognized for the 13th consecutive year as a part of CRN’s 2018 Solution Provider 500 list, which ranks the top technology integrators in North America. MES carries the highest insurances to protect your company against any possible risks. We have developed systems and procedures that have allowed us to accomplish successful IT Relocation for business and government agencies throughout Northern California. MES's team is trained to assist you to make all aspects of the IT relocation project run smoothly and successfully. Visit FAQ for IT Relocation, or contact Mike Greer or call 408.519.3241 for your IT relocation project today! 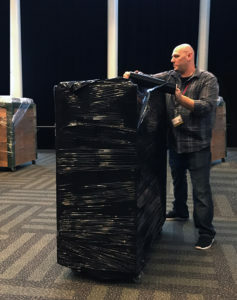 Menlo Event Services was able to successfully complete an entire departmental (Resource Management Agency) move of 160 employees over the course of a weekend without a hitch. 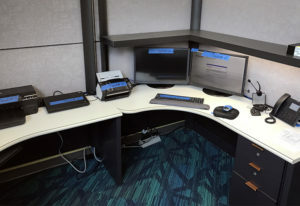 The Statement of Work (SoW) included: disconnecting, packing, transporting and set-up of workstations, laptops, printers and other IT related equipment. While the move was originally scoped for a 3-day weekend, MES’s relocation team worked efficiently and completed the project in a day and a half. Despite the accelerated schedule, the project team was both sensitive, and accommodative to our needs. Ultimately, the group as a whole was a pleasure to work with on the project. 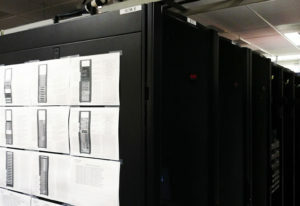 Server Room - Meticulous detail to provide reliable de-racking, re-racking and cabling services.